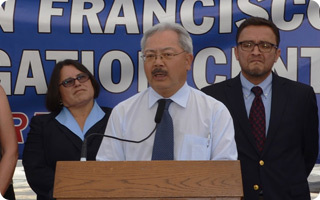 San Francisco, CA—Mayor Edwin M. Lee today announced that the City will open a new Navigation Center and lease an additional 200 units of housing for the homeless. The new Navigation Center, which will begin accepting clients in two months, will be located at the Civic Center Hotel, which will be expanded with additional supportive services. Mayor Lee also announced the addition of 200 new units to the City’s supportive housing portfolio to provide additional exits to clients of the Navigation Center system.